I'm a big fan of bologna. Always have been, always will be. When Teena and I were in Newfoundland a few years ago, I was delighted to find breakfasts came with a large serving of thick fried bologna. One question: Why is bologna spelled like that? Ba-lone-ee is how it is pronounced, but spelled like it should sound like Bow-Log-na. Maybe it is thinking about this kind of stuff which makes me forget some of the things that Teena wants me to do. Anyway, Teena was in Stephenville Newfoundland on business and saw The Bologna Cookbook sitting on a shelf at a grocery store and picked it up for me. 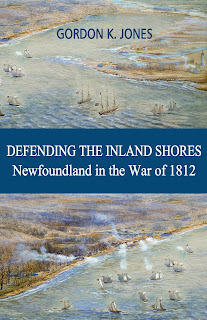 Ex-military man and Canadian patriot Kevin Phillips grew up in Cape St. George, where he developed a love for the traditional dishes of his Newfoundland home. After high school, he joined the Canadian Armed Forces (CAF) and served for thirty-three years before retiring as a master warrant officer. During that time, he never forgot the old Newfoundland recipes of his youth. So, immediately upon his retirement from the CAF, he rekindled his passion for cooking and began his new career as a chef! From Military to Culinary Kevin’s initial plan was to resurrect and share some of his favourite old-time recipes online. He intended to focus on old, lost recipes, but as the number of bologna recipes increased to well over two hundred, he decided to concentrate entirely on bologna. Kevin quickly realized that bologna was not exclusive to Newfoundland. In fact, this sausage was enjoyed by people from all parts of the country, as well as by many of his readers overseas! 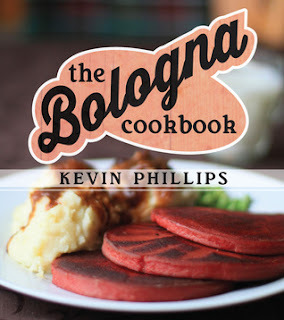 The Bologna Cookbook is Kevin Phillips’s first book, and the first ever all-bologna cookbook, featuring two hundred recipes whose main ingredient is . . . you guessed it . . . bologna! The cookbook outlines easy-to-make recipes for mouth-watering dishes that are a feast for the eyes and a delicious treat for the soul, such as Bologna and Eggs with Havarti, Bologna Caesar Wraps, Cheesy Bologna Calzones, Balsamic Peppercorn Bologna Steak, Bologna Stroganoff, and more! In his introduction, Kevin states that over 1.365 million pounds of bologna are sold every year across Canada. One third of that, around 462 million pounds, are sold in Newfoundland alone which is about 9 pounds for every man, woman and child in the province. Wow! When we came home from our Newfoundland vacation, I made fried bologna and eggs for breakfast and posted it on Facebook. There were immediate comments from Newfoundlanders that I had used the wrong kind of bologna. Maple Leaf is the only accepted brand to use. It looks like I'll need to pick up a big chunk of it. I'm looking very forward to trying some of these!